Wedding Savvy Saturday: 5 Ways To Commemerate Your Missing Loved Ones On Your Big Day. Sadly sometimes not everyone you love can make it to your wedding. However, just because the guest is no longer with us does not mean you can't include them in your big day. 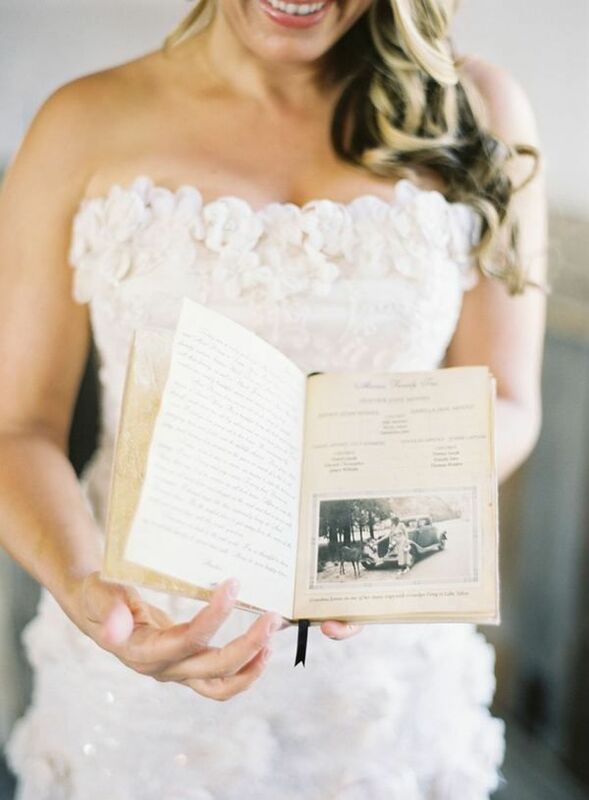 There are plenty of ways to make sure your lost loved one is remembered on your wedding day and today we are going to share some of our favorites with you. 1. Keep them close. - If your missing guest had a piece of jewelry or a watch that they always wore, don it on your wedding day. The item will hold sentimental meaning for you and can make you feel like your loved one is still with you. 2. Bouquet full of memories. 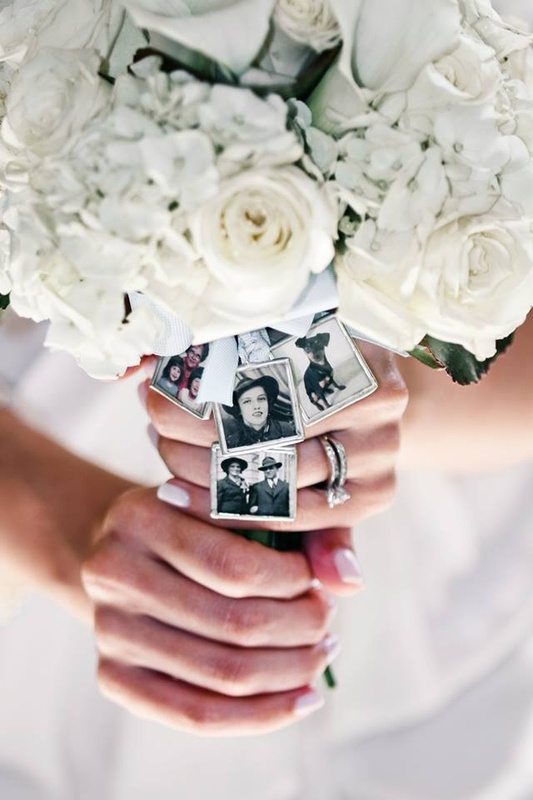 - Add the person’s photo to your bouquet and keep their memory with you all the way down the aisle. 3. Give them a mention. - A great way to keep your lost loved one present on your wedding day is to mention them in your thank you speech. Remember that they would want you to be happy on your big day so try to keep it light. 4. Donate in their honor. - Instead of giving out favors, some couple elect to donate a certain amount for each guest to the charity that the past loved one was passionate about. Include a picture of the person in your wedding programs with the charity information. 5. Play their song. - If there was a song that the person really enjoyed, be sure to play it at your reception. This doesn not have to be a sad thing. Try to remember the spirit of the person and enjoy the moment. As we said before, your lost loved one would have wanted to you be happy on your big day. Try to keep that in mind. We hope you found this helpful. If you have a great idea about how to remember a lost loved one share it below.